Here is a very attractive variant of the famous bean skinner. 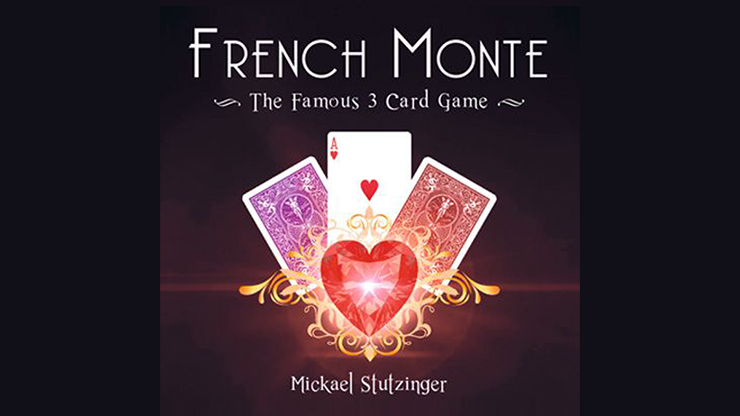 From this scam of the streets, the magician MickaÃ«l Stutzinger has kept the spirit (impossible to follow the winning card), but has enriched the adventures and twists. It's an ongoing challenge for the spectators who will never - despite all their attention - manage to bet on the winning red card. This one is never where we expect it! At the end the cards are all given to be examined. And one of them even changed the color of his back! MickaÃ«l has enriched the handling of the basic routine by a series of movements and very deceptive subtleties. The secret and the modus operandi will be revealed to you in a video, thanks to an Internet link. It is MickaÃ«l, in person, on the video. We'll give you everything you need to present this wonderful routine. The cards are Bicycle, poker size and Rider back. During the routine, the spectators will go from surprise to surprise because sometimes they see only black cards and sometimes it will be only red Aces. And, in the end, there is even a card whose red back turns into a blue back! We have provided an easier version, as well, for beginners. 3 Bicycle Rider cards back to blue back.